The application period for Kōkua Hawaiʻi Foundation Mini-Grant and Field Trip Grants for the 2018-2019 school year will be closing on March 1. Kōkua Hawaiʻi Foundation Mini-Grants help teachers and schools advance their environmental education goals and pursue innovative stewardship projects. Previous grantees have used KHF Mini-Grant funds for projects focused on school gardens, plastic-free campuses, vermicomposting, nutrition lessons and waste reduction. 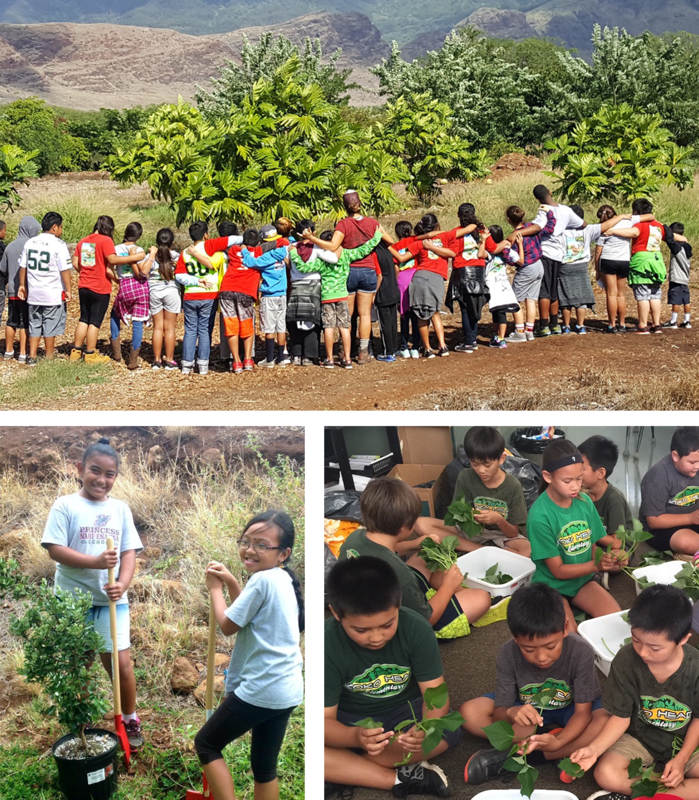 Kōkua Hawaiʻi Foundation Field Trip Grants give schools the financial assistance needed to bring students to outdoor sites where they can experience hands-on learning about Hawaiʻi’s environment. Most field trip locations provide interactive learning experiences for students grades K-12 and offer educational tours that can be customized to any grade level. Questions about Kōkua Hawaiʻi Foundation Grants? Contact [email protected].org.